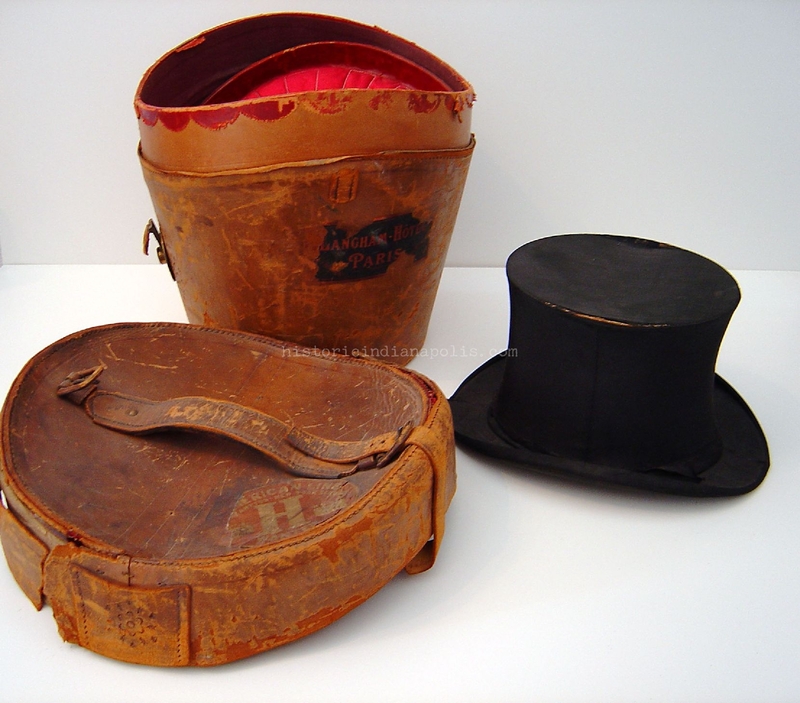 From Jennifer Capps at the Benjamin Harrison Presidential Site(formerly known as Benjamin Harrison Home) comes this interesting exhibit of one of President Harrison’s top hats. The hat was donated to the museum in 1945 by Harrison’s son-in-law James Robert (JR) McKee. As a side note: Harrison wrote a check to J. T. Brush (owner of the When Clothing Company) on July 16, 1877 for $7.50, but it is not known if this was for the hat or not. 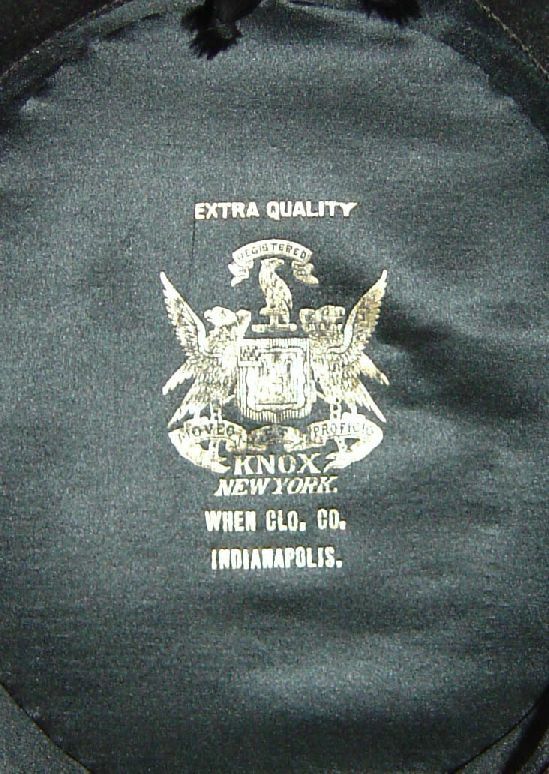 We have featured the When Clothing store in an article before, but here is some more information, again from the current exhibit “Windows to the Past: Harrison’s Indianapolis” that features Harrison’s top hat. 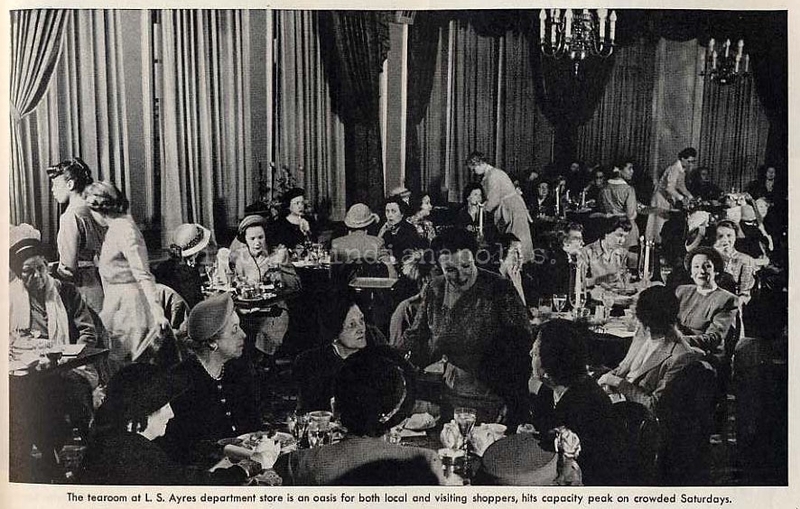 The When Clothing Company was described in 1897 as a “leading establishment” and the building “ranks as one of the handsomest and most attractive structures in this city.” Owner John T. Brush closed his store to remodel and twice delayed the opening. He hung a sign out front that simply stated “When?” and printed ads in the newspaper with “When?,” the name stuck. The When Clothing Store opened in March 1875. 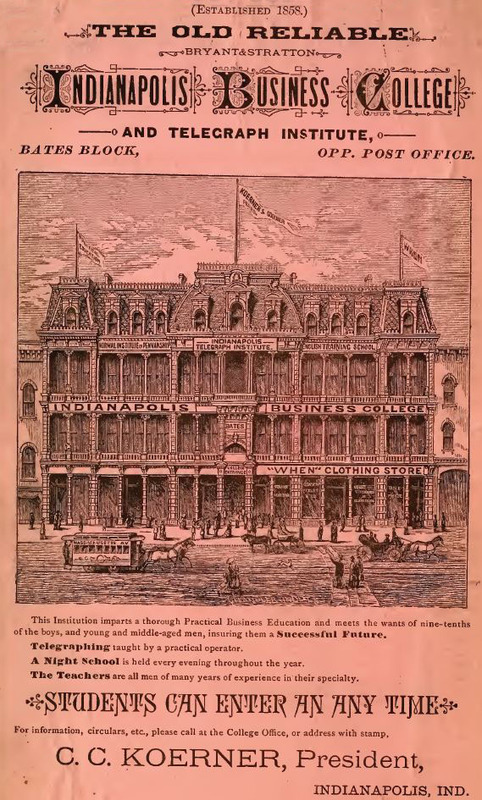 An advertisement for the Indianapolis Business College and Telegraph Institute from the 1881 Polk Directory. Signs, possibly just artist’s additions for the ad, on the building include “Normal Institute of Penmanship” and “English Training School”. The Indianapolis Business College (later University) also occupied the When Clothing building. The building stood for some 119 years; in 1995 it was demolished. 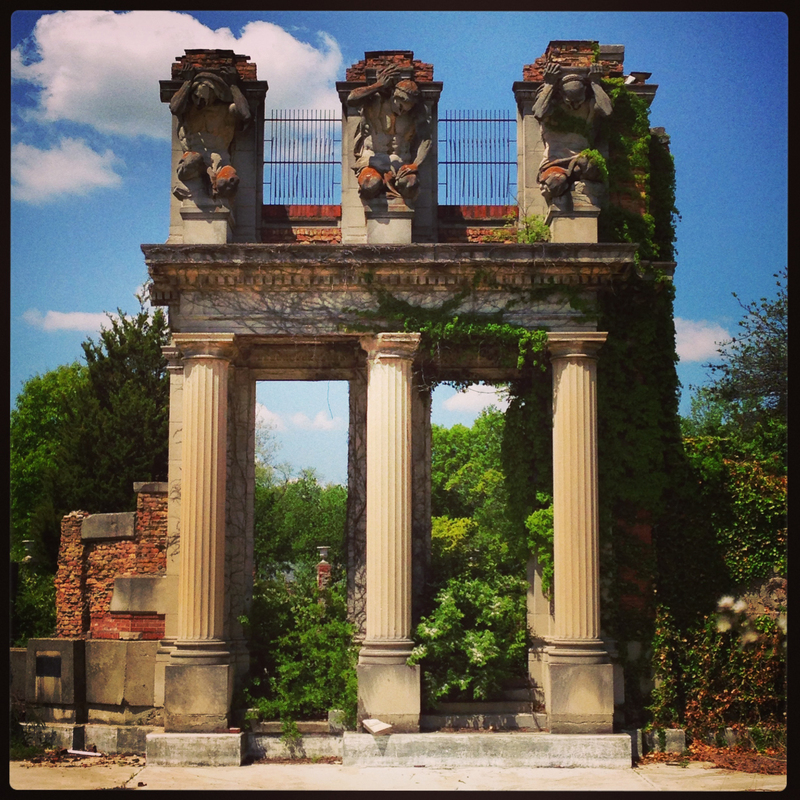 By that time the building had lost many of its Second Empire architectural elements. Gone were the mansard roof, cast-iron balustrades, balconies and dormer windows. In the 1940s it had gone though a drastic re-model. It was then called the Ober Building. 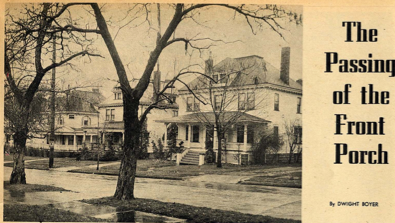 Many Indianapolis residents will remember the location as Stationers. “Windows to the Past: Harrison’s Indianapolis” is on exhibit now through November 2, 2011. 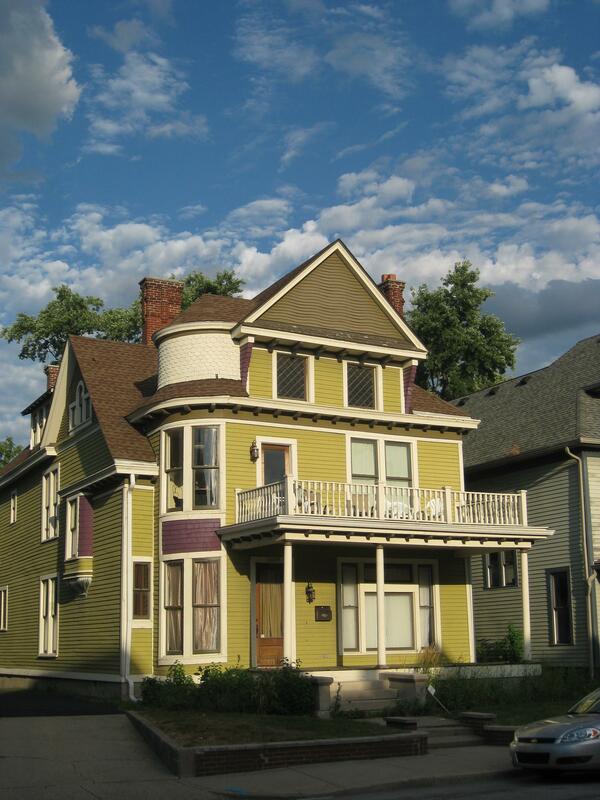 Victorian is out, Mid-Century is in…what’s next?